History – Contemporary Galleries | Full service furniture dealer located in Charleston, West Virginia. In the midst of the 70s design revolution, Mary Russell, a graduate from University of Cincinnati in Interior Design, decided to open a modern lifestyle shop with her brother Leo in Charleston, WV. At the time, Mary was working in Louisville, KY and enjoyed shopping at a store called Contemporary Galleries, where she found a unique teak ice bucket designed to look like a carpenter’s tool box and decided to buy it as a Christmas gift for Leo, who was running his own construction business. In a world before the internet and mass market sales, such a unique gift was difficult to come by in Charleston, WV in the 70s, so together they decided to be advocates of modern design in the mountain state and start their own store in order to bring beautifully crafted furniture and decorative accessories to Charleston. 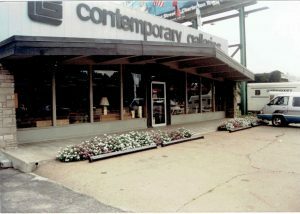 They bought a Contemporary Galleries franchise from the Louisville and Cincinnati founders and set up shop in an old Peter Pan Cleaners building in the Kanawha City neighborhood, August 1976. The beginning franchise included stores in Cincinnati, Louisville, Dayton, Lexington, Columbus and Charleston. Although the franchise has since dissolved, the stores in Louisville, KY and Charleston, WV are still in business as of 2016. These two stores are owned and operated independently from each other. 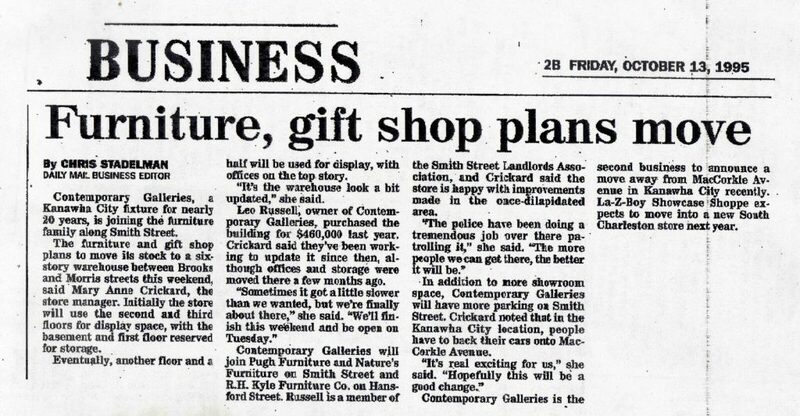 The primary difference between Mary and Leo Russell’s Contemporary Galleries and the original franchise was the intention of becoming commercial systems furniture dealers. In 1978, Mary and Leo signed their first Herman Miller Licensed Dealers contract with a year-end goal of selling $5000 worth of systems furniture. At the time, Mary was the only Interior Designer in the Greater Kanawha Valley area with training in how to plan and design systems furniture. 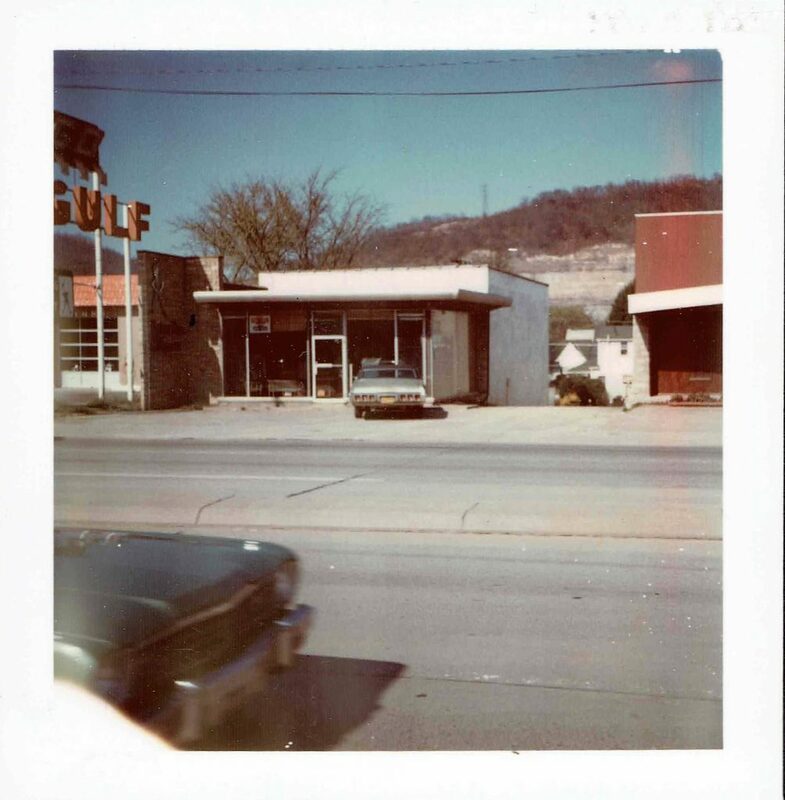 At the time, systems furniture was new and different and Contemporary Galleries was at the forefront of change, bringing a new way of creating a working environment to southern West Virginia. 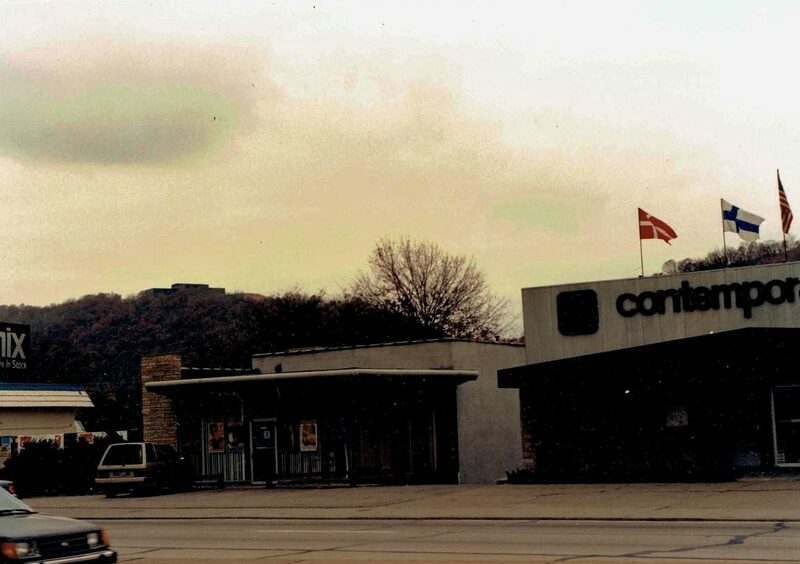 By 1982 the store had grown so much that more space was needed, so the business was expanded into the building next door at 3808 MacCorkle Ave. and prospered there until 1995. In 1995, with a growing commercial division and need for more office and showroom space, the company moved into Charleston’s East End Warehouse District which offered the perfect location at 1210 Smith Street, a six story building used for storage. They renovated each floor to match the modern style of the products they love and became a beacon of change in an area of economic trouble. The first through fourth floors are Residential showrooms; the fifth floor is home to the Commercial sales and design staff; the sixth floor houses the purchasing and accounting offices and has space for displaying the open office systems and products that are available for today’s corporate environments. Around the same time that Contemporary Galleries found its current home and moved in, the company found itself doing a lot of business in eastern Kentucky and realized the need for office space in Lexington. So a branch division doing business under the name CG Concepts was opened in Lexington in 1995 and includes sales and design staff to service the Kentucky market. 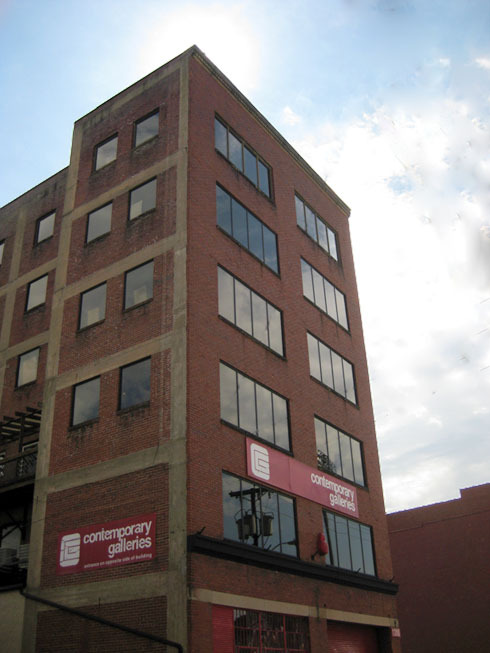 Contemporary Galleries actively covers from these two locations not only West Virginia and Kentucky, but Ohio, Virginia, North Carolina, Tennessee, and Pennsylvania. In January 2008 they purchased the old Sears Building on the west side of Charleston to expand their warehousing and shipping/receiving capabilities. Capitalizing on their success and growth, while getting away from leasing storage space to hold large orders, the 6th Ave. warehouse helped manage operations and enable even larger projects to begin. In 2009, Contemporary Galleries had its greatest year in sales, reaching and surpassing $20 million.